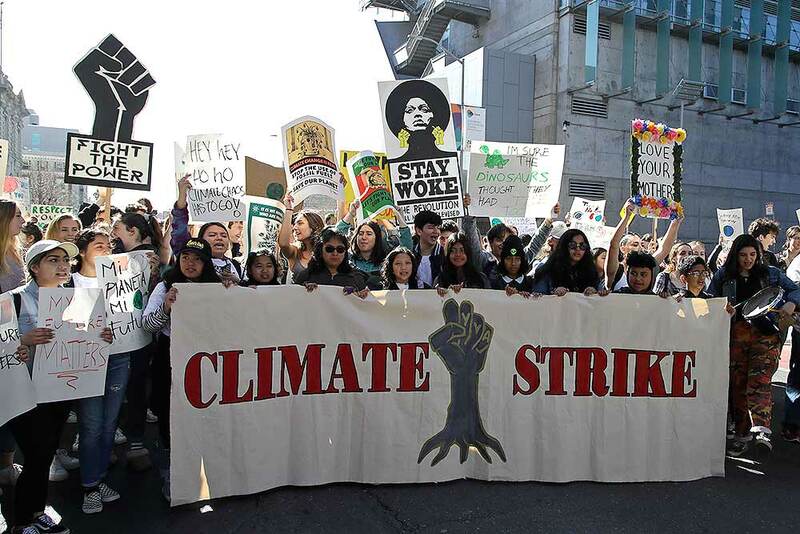 Students march onto Market Street during a protest against climate change in San Francisco. 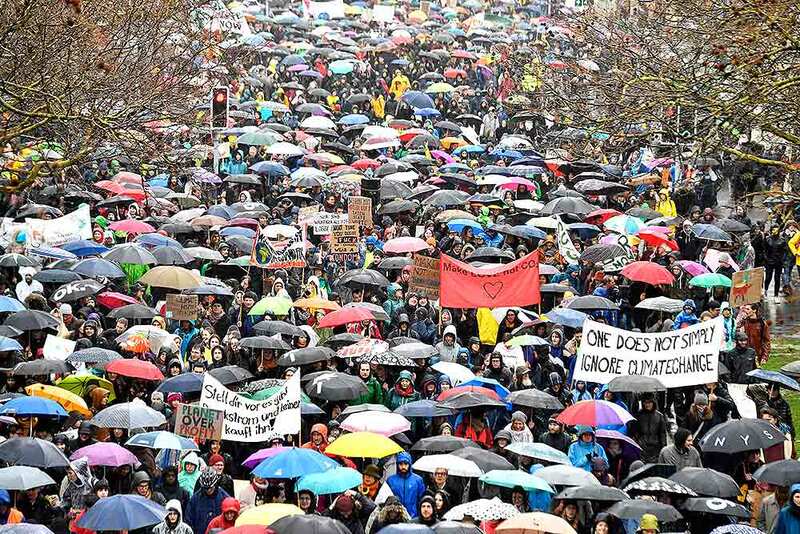 From the South Pacific to the edge of the Arctic Circle, students are skipping classes to protest what they see as the failures of their governments to take tough action against global warming. 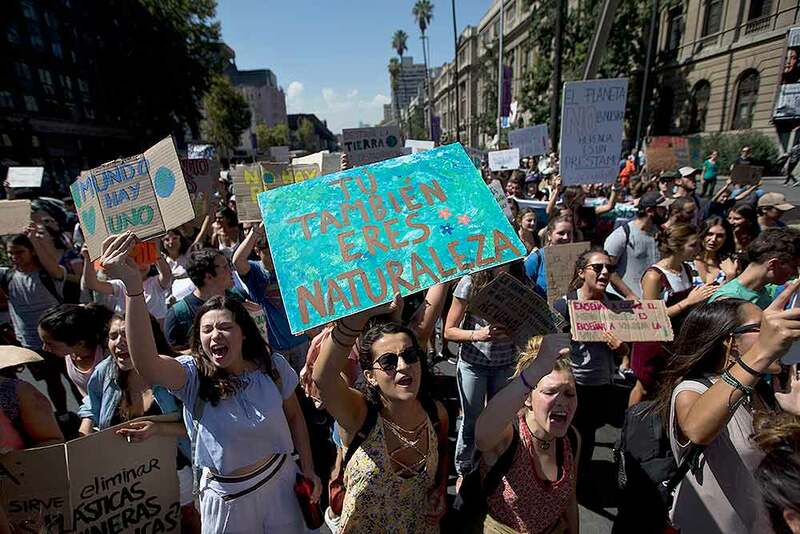 Students shout slogans while holding a sign that reads in Spanish "You are also Nature" as they march to demand action on climate change, in Santiago, Chile. 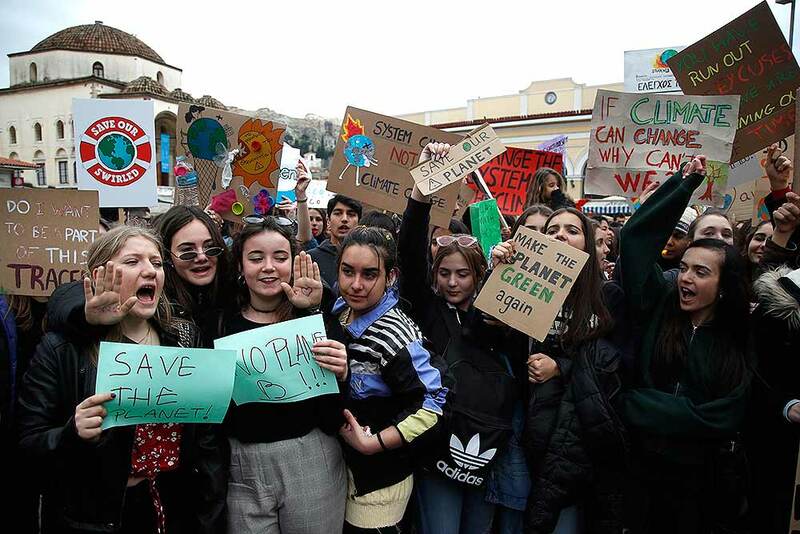 Students worldwide are skipping class to take to the streets to protest their governments' failure to take sufficient action against global warming. Students shout slogans during a rally at Monastiraki square in central Athens. From the South Pacific to the edge of the Arctic Circle, students mobilized by word of mouth and social media skipped class to protest what they believe are their governments' failure to take though action against global warming. 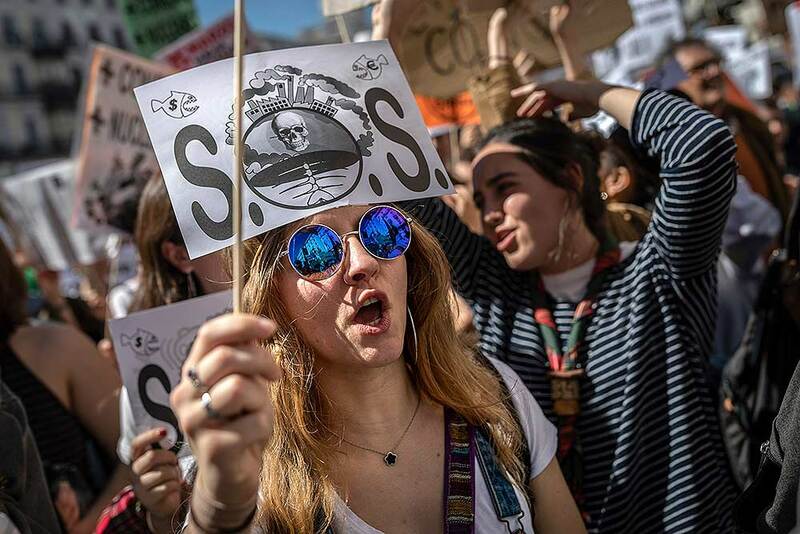 Students shout pro-environment slogans during a rally in Madrid, Spain. 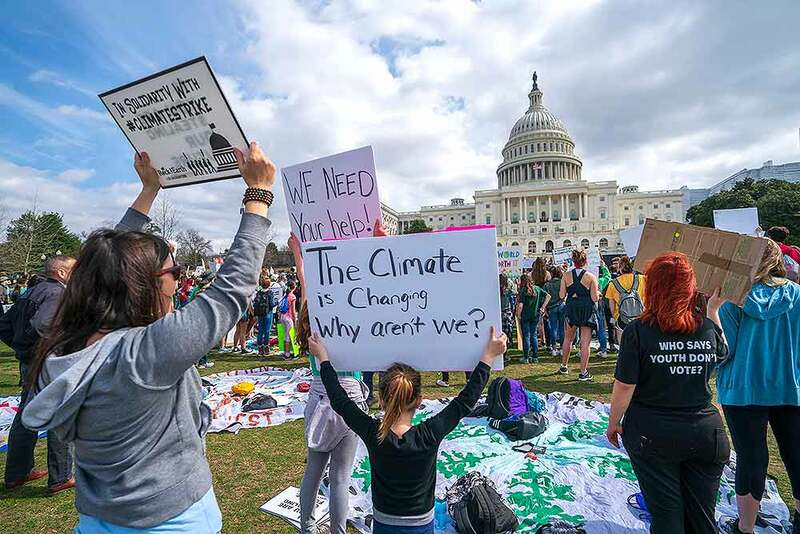 Young demonstrators join the International Youth Climate Strike event at the Capitol in Washington. Students attend a protest ralley For Future Movement' in Erfurt, Germany. 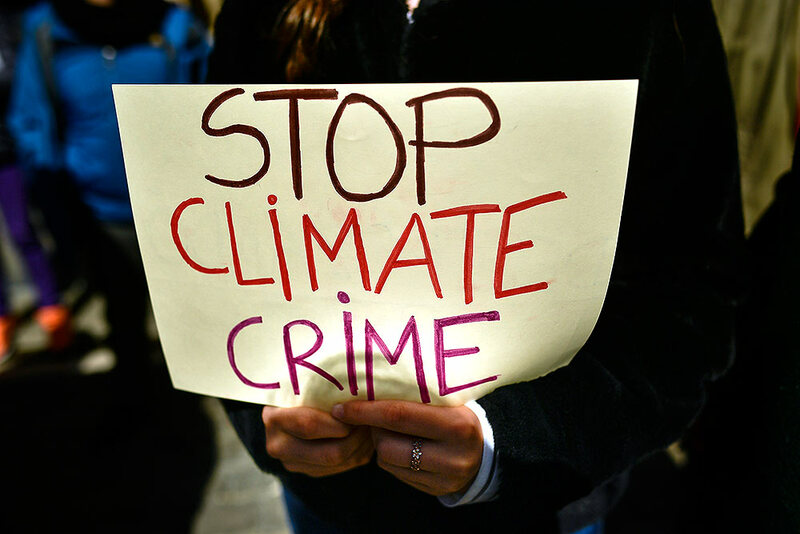 A student holds a banner during a demonstration against climate change in Pamplona, northern Spain. 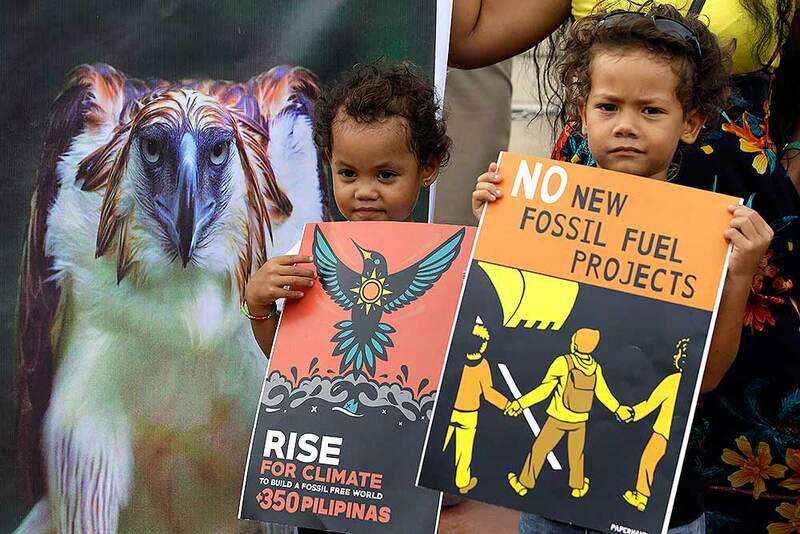 Children hold slogans as they join a demonstration to call for strengthened measures against global warming in Manila, Philippines. 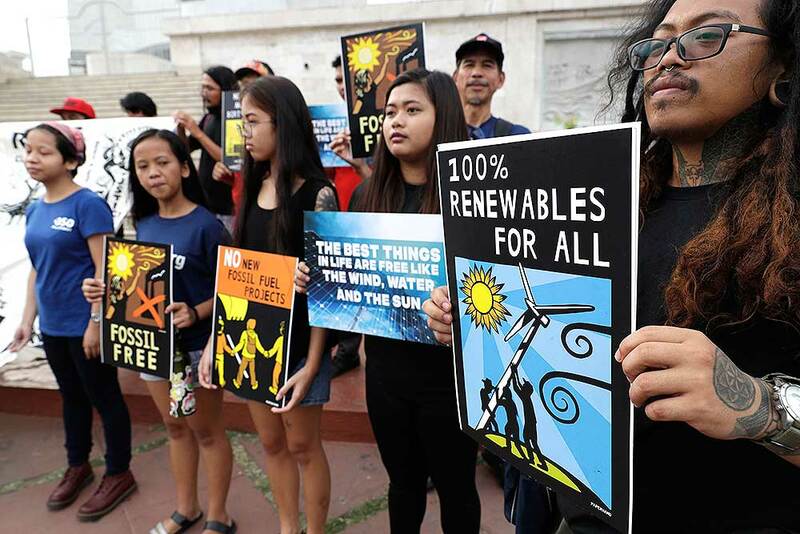 The group joins others worldwide as they protest their governments' failure to take sufficient action against global warming. 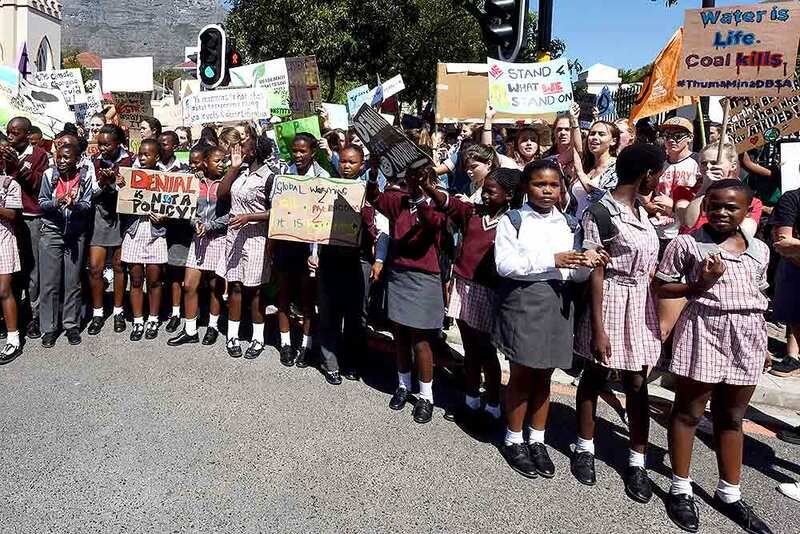 Students in Cape Town, South Africa take part in a protest as part of a global student strike against government inaction on climate change. 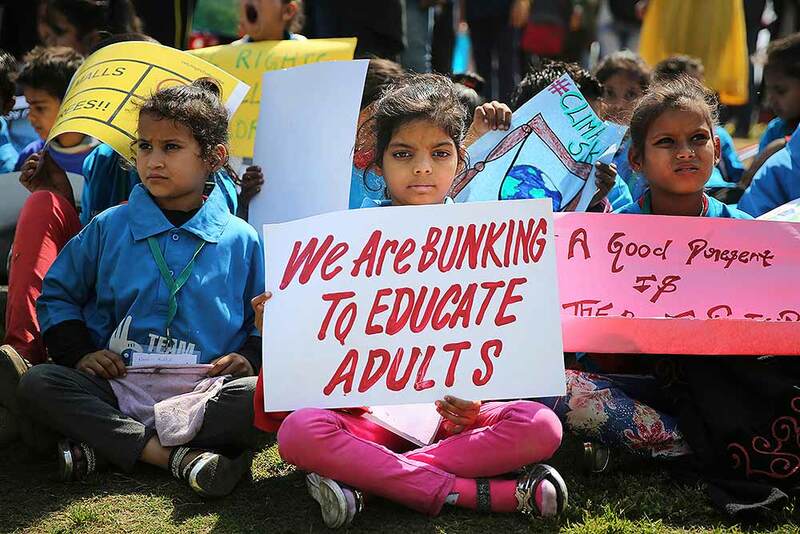 Students in cities worldwide skipped classes to protest their governments' failure to act against global warming. High school students demonstrate outside the Pantheon monument in Paris. 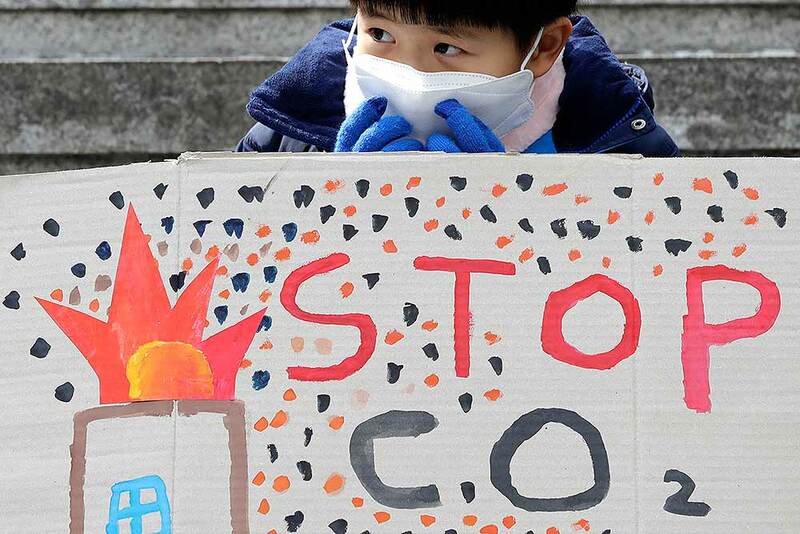 A boy wearing a mask sits behind a banner during a rally for global climate strike for future in Seoul, South Korea. 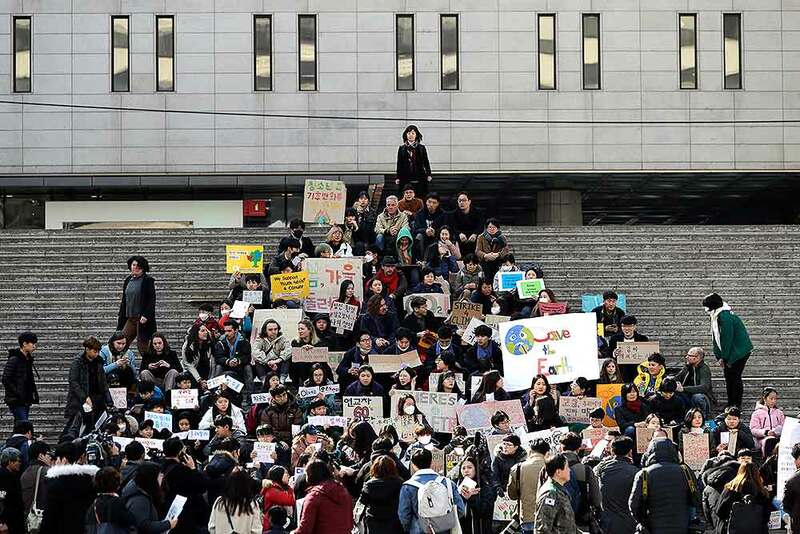 About 150 students and other protesters attended a rally to protest their governments' failure to take sufficient action against climate change. 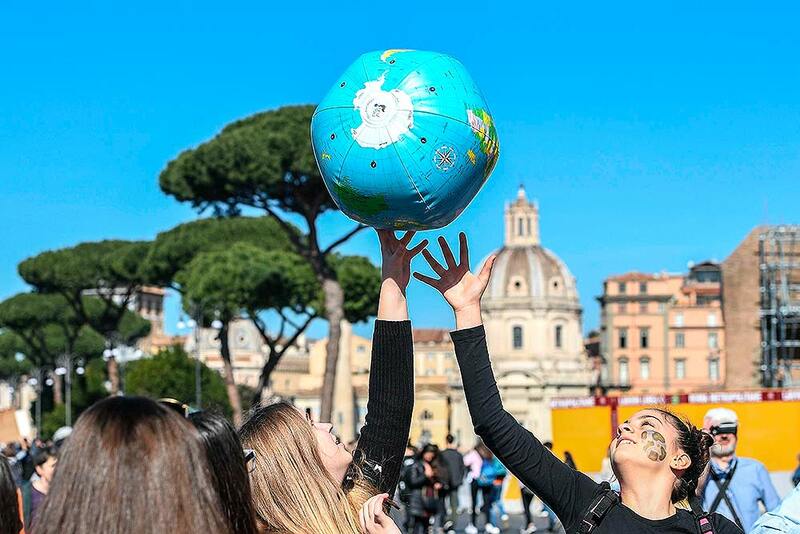 Students play with an inflatable globe as they march to demand action on climate change, in Rome. 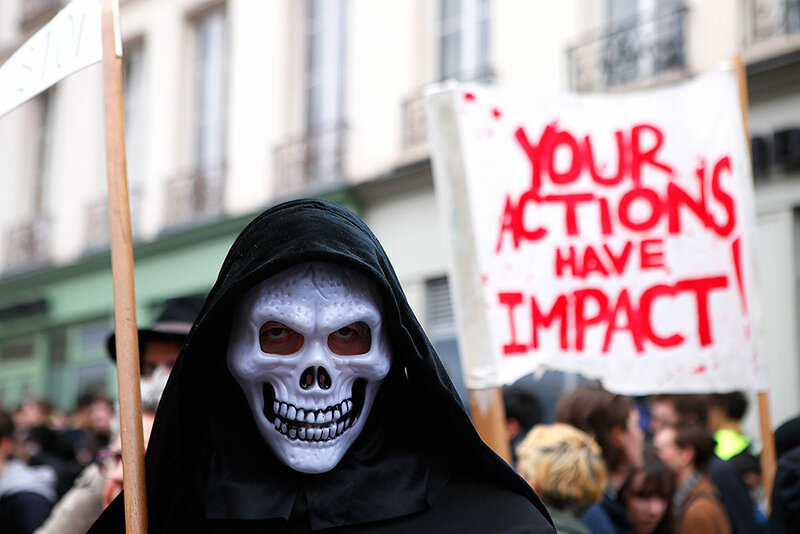 Students worldwide are skipping class to take to the streets to protest their governments' failure to take sufficient action against global warming. Participants form a human pyramid during a rally for global climate strike for future in Seoul, South Korea. 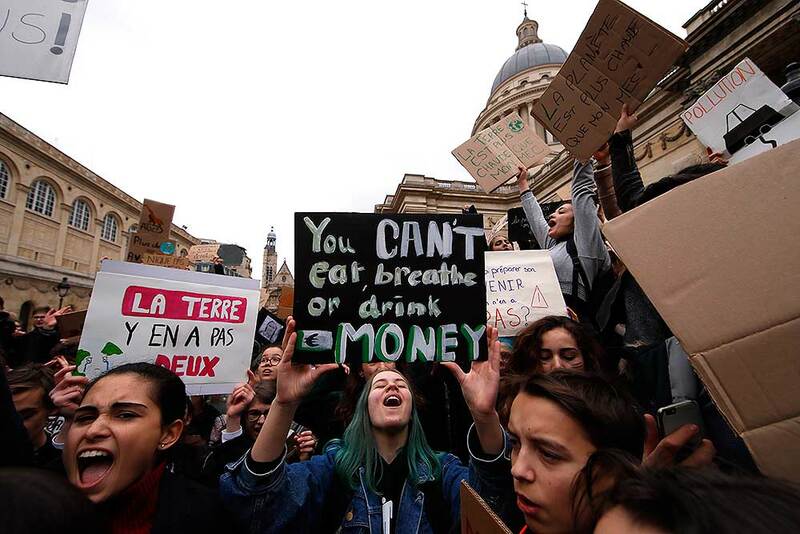 High school students demonstrate in Paris. 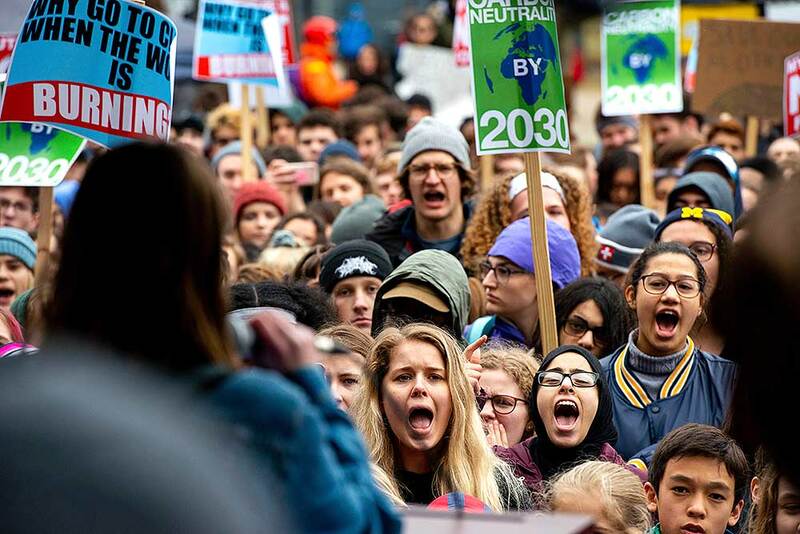 Students worldwide are skipping class to take to the streets to protest their governments' failure to take sufficient action against global warming. 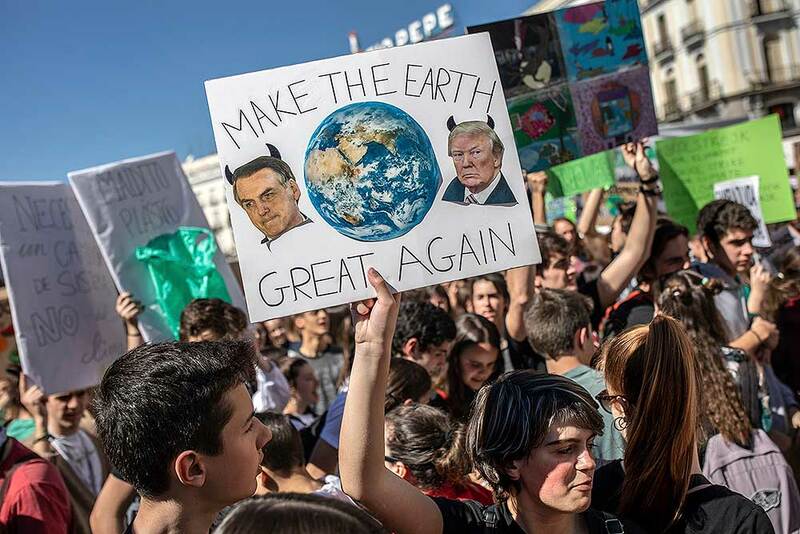 A student holds a banner showing images of U.S. President Donald Trump, right, and Brazil President Jair Bolsonaro during a pro-environment protest in Madrid, Spain. 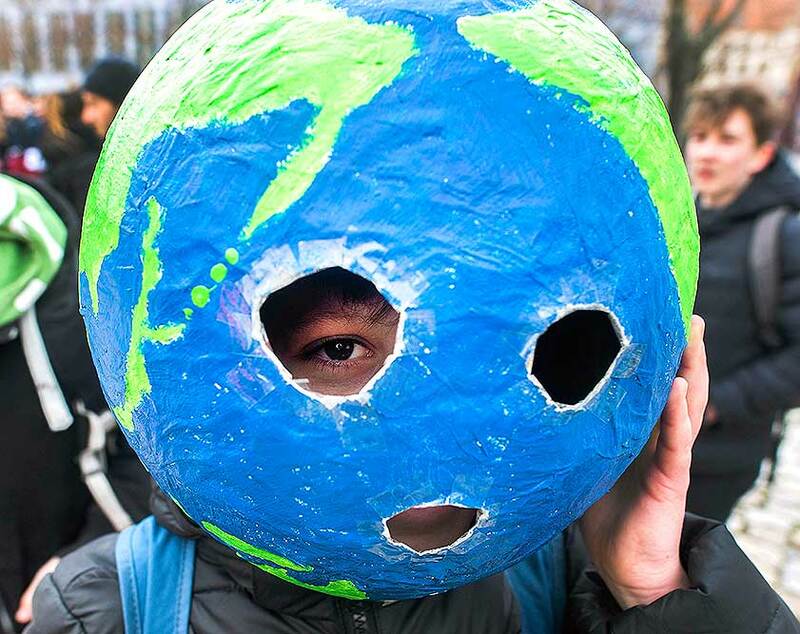 Students mobilized by word of mouth and social media skipped class Friday to protest what they believe are their governments' failure to take tough action against global warming. Students attend a protest ralley For Future Movement' in Magdeburg, eastern Germany. 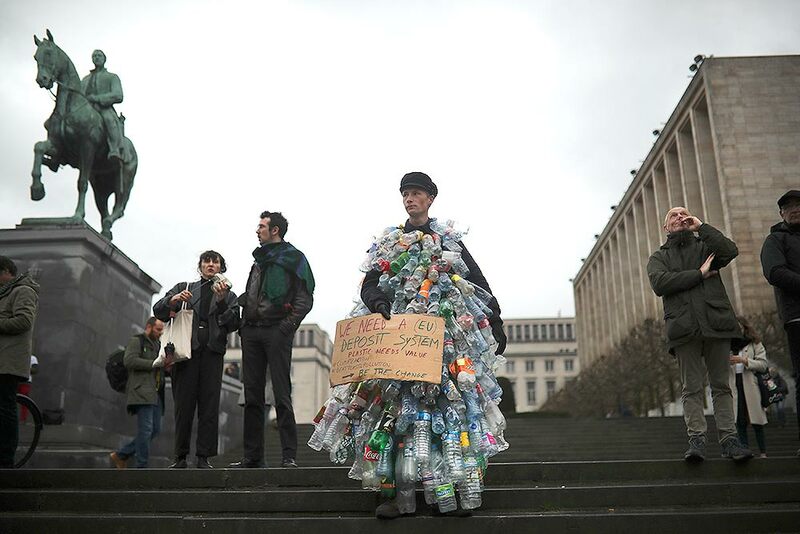 A man wears a costume of empty plastic bottles during a climate protest in Brussels. 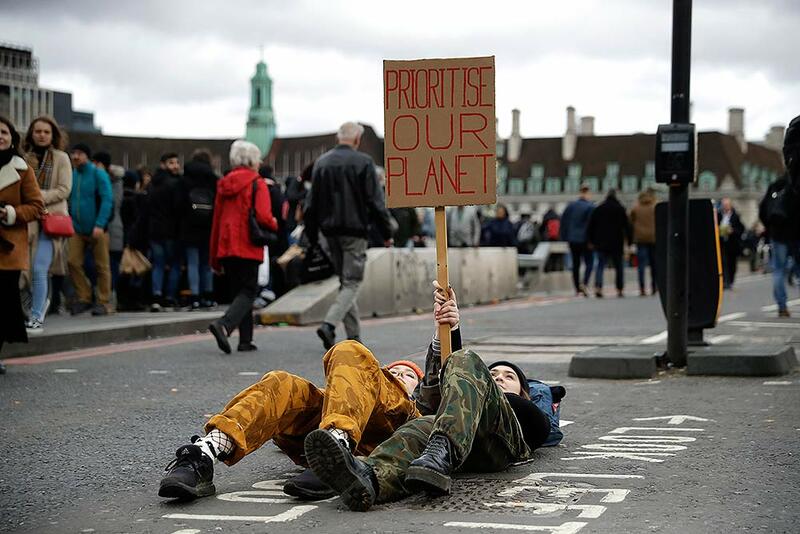 Youngsters lay down as they take part in a student climate protest at the bottom of Westminster Bridge in London. 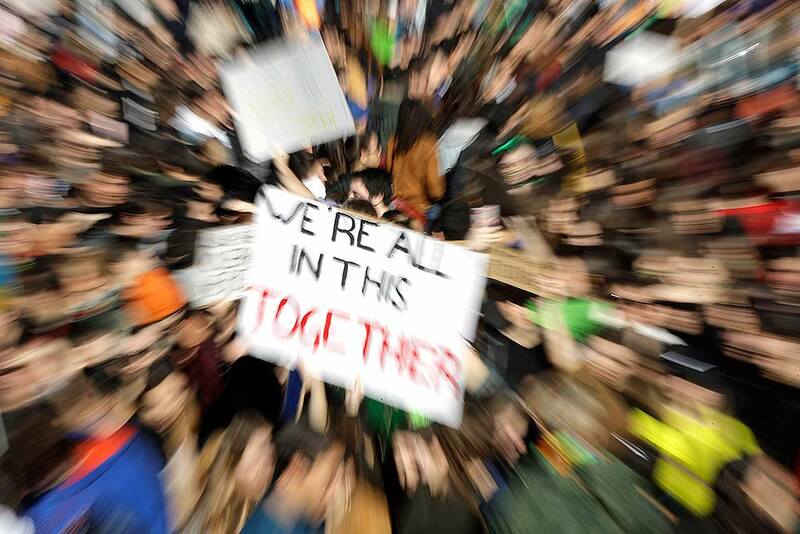 Students hold up a sign with writing reading "We're all in this together' during a demonstration outside the Castello Sforzesco castle, in Milan, Italy. Protesters chant and cheer as they listen to speakers at the Washtenaw County Climate Strike on the University of Michigan Diag in Ann Arbor, Michigan. 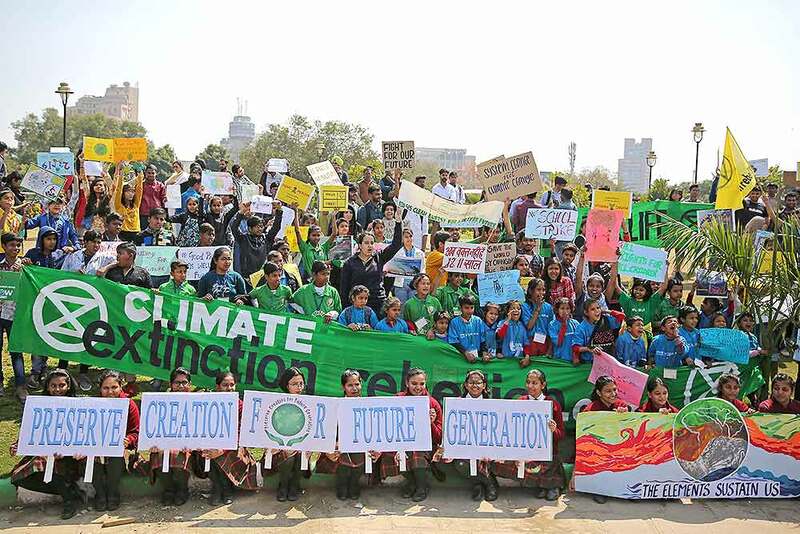 Students from different institutions hold placards and banners as they participate in a climate protest in New Delhi. 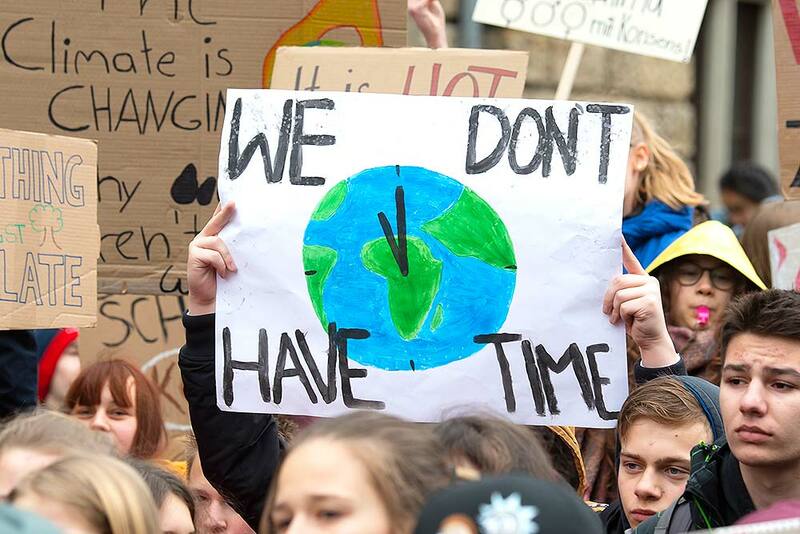 Students in more than 80 countries and territories worldwide plan to skip class in protest over their governments' failure to act against global warming. 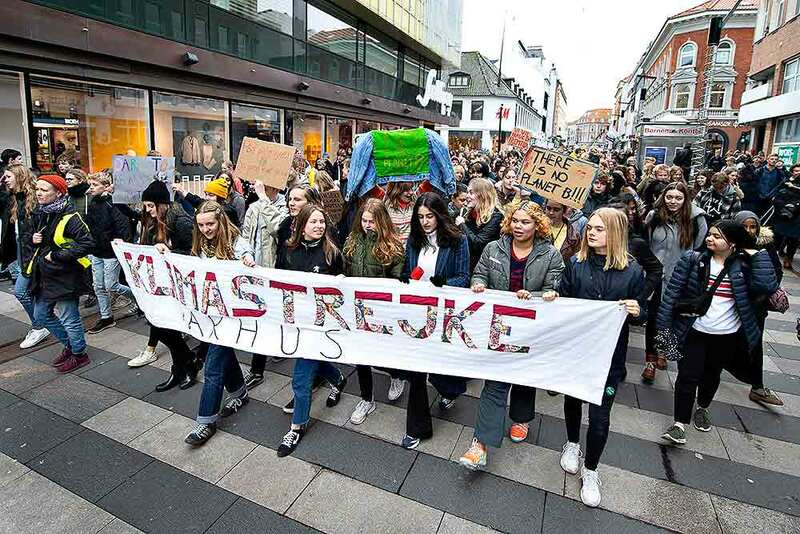 The coordinated 'school strike' was inspired by 16-year-old activist Greta Thunberg, who began holding solitary demonstrations outside the Swedish parliament last year. 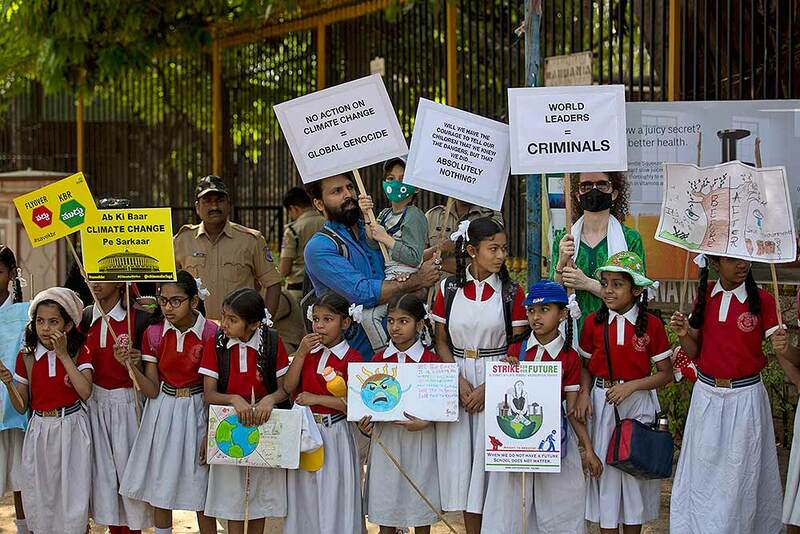 Students from different institutions participate in a climate protest in Hyderabad. 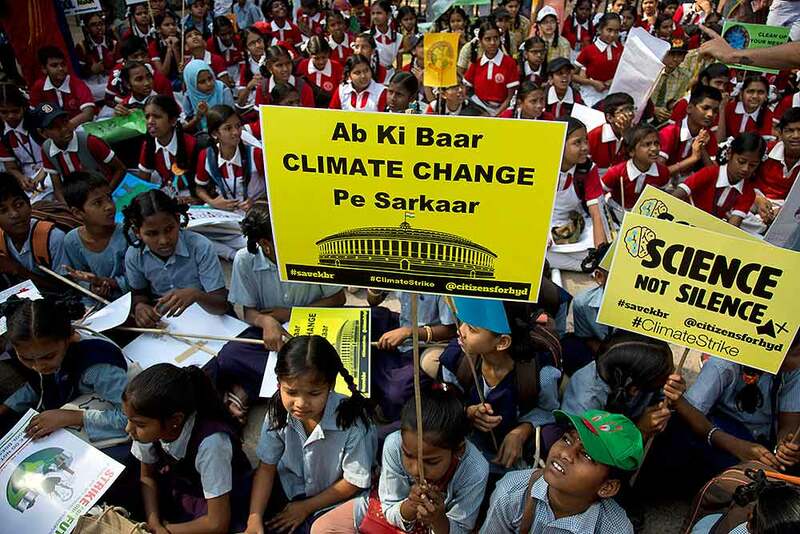 Students from different institutions hold placards and banners as they participate in a climate protest in New Delhi.